It is always difficult to review and rate anthologies due to its diversity in style. That is, different authors coming up with their own way of approach to stories and writings. 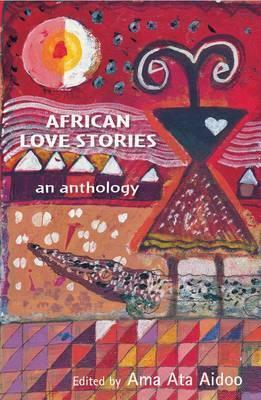 African Love Stories is an anthology, which consist of twenty-one short love stories by (twenty-one different) African female writers. I will try my best by giving a short review on my favourite stories. Needles of the Heart by Promise Ogochukwu. Was a shocking story. How the main character Nana decided to continue her marriage with a husband that continuously used her as his punchbag is beyond me. He almost did away with her life in many occasions. Still, she decided to stick with him and love him with all her heart. A story I read with awe and curiosity. It was quite moving, kind of. Counting down the Hours by Blessing Musariri narrates the story of a young girl who had a sugar daddy that results to be a husband to her mother's best friend. It kept me on the edge of my seat and wondering at how the whole affair was going to end. Racy and spicy read I must confess. A Sunny Afternoon by Véronique Tadjo was an intriguing read. I was completely baffled with the fact that a married woman with children was under a delusion that a man she barely had a complete conversation with, was in love with her and intended to spend his whole life with her, only because their encountering each other transpired in a sunny afternoon. In fact, I was taken aback with what happened at last. Marriage and other Impediments by Tomi Adeaga was a delightful read. Why do some people fuss over interracial marriage? Tropical Fish by Doreen Baingana. As a matter of fact I have ordered my copy of the novel, which won the Commonwealth Writers' Prize for Best First Book in Africa (2006), among others. I would love to find out what was actually between the young African girl Christine and Peter (European). Was it love or lust? Leila Aboulela might not have the strongest story line but her writing style is superb. As a result I have ordered her novel Minaret, I am sure she will not disappoint. I read her first in Gods and Soldiers with her short story "Souvenirs". She's got talent. Transition to Glory by Chimamanda Ngozi Adichie. What happens when the man you are in love with is married with children your age? The Rival by Yaba Badoe was good. I have ordered her novel "True Murder" and I am looking forward to finding out what she has to deliver. Jambula tree by Monica Arac de Nyeko was written in an epistolary format. Two girls that were separated from each other just because they were in love. A reflective read indeed. Possessing the Secret of Joy by Chika Unigwe kind of reminded me of "The Joys of Motherhood by Buchi Emecheta". Narrates the story of how a mother persuaded her young daughter to marry a rich old man she did not love, because it was their one way ticket out of poverty. Finally, Modi's bravery in the short story Modi's Bride by Sindiwe Magone, in my opinion was the height of love. I am looking forward to reading more from the writer. When you love a person, you love a person, the rest does not matter. I skipped Three [Love] Stories in Brackets by Antjie Krog and The Telltale heart by Helen Oyeyemi. The former was beyond my comprehension while the latter I found difficult to cut through. In general, African Love Stories was a delightful read. How far should/could we go for love? More often than not the short stories kept me wanting for more. I recommend to all lovers of short and love stories. I have not read this book though I've often seen it in bookshops. I have skipped it for a particular reason. I was weary of reading a lot of 'man-bashing' stories, especially if it is monodimensional. After your review, I might consider it. There is actually no man bashing as you describe it. It is more of a woman novel written by women for women. Of course, men could read it. Give it a try. I would like to know ur feeling about it. Wonderful review,Mary. I will be on the lookout for this anthology. Incidentally, I was at the Yari Yari Conference in Accra where Doreen Baigana and Veronique Tadjo were participants. Doreen was part of the plenary that discussed the many avenues through which emerging authors can get their works out. Afua.. I envy you. I wish I was there. You are very lucky. If it was not for the distance, it is a conference I woul have loved to attend. Is there a way I could read or view what happened? This book was my introduction to African literature and I quite enjoyed it, even though, as you mention, there is a wide variety of writing styles. I'd describe these more as stories about the "lives" of women, rather than the "loves". Debbie you are spot on. They actually arent love stories perse. They are more of stories about the lives of women. You know I'm a romance fan, so this book looks interesting. Seems like you enjoyed it more than the last anthology (where the writer used work you had read before). Nana... absolutely, I enjoyed African Love Stories a lot more than "Gods and Soldiers". The latter was a disappointment for real. I do not think it belongs to the romance genre. It is more about women's life. I read this book years ago. Who wrote the story of a wife who met her husband's mistress and step kids for the first time at his funeral? I liked the story. Hey there, sorry for the late reply. I've been pretty busy. I am sure you were referring to "Give Us That Spade!" by Molara Ogundipe. That stroy wasn't my favourite. I found it a bit forceful. All the same it was good. How I can get a copy? I would like to get a copy.